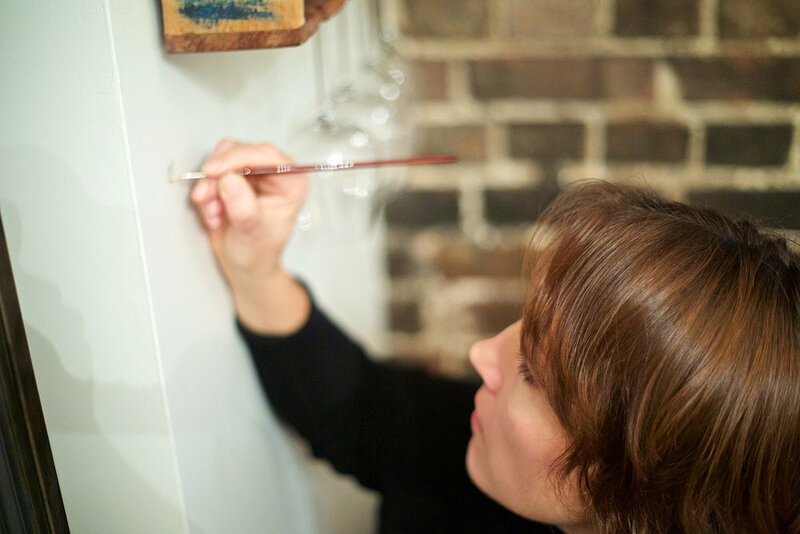 Painting on wall commission for a room at the Artists Residence Hotel in Brighton. 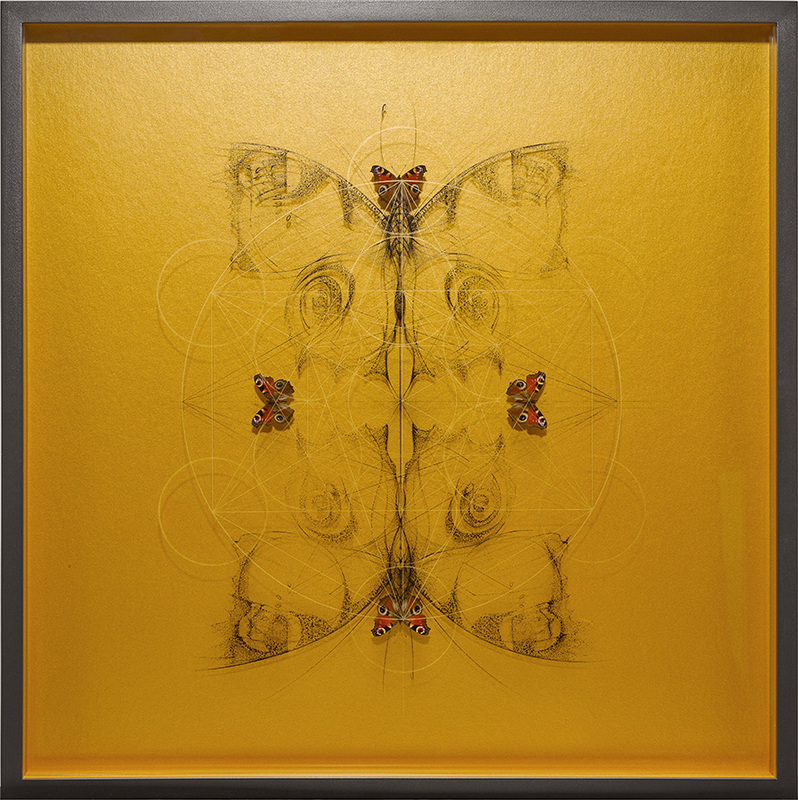 Each work was made into a print that is now being held in the permanent collection at the V&A Museum London. 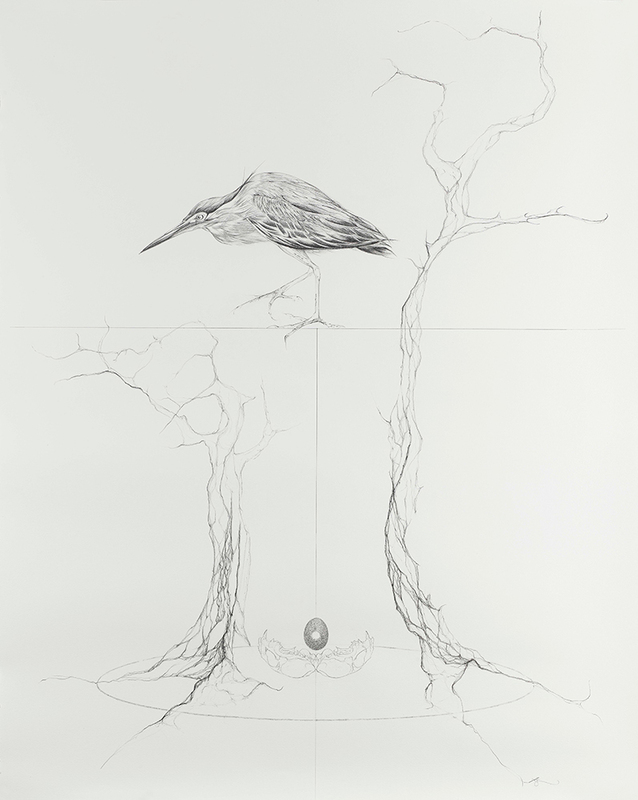 The Reunion Night Heron drawing came about through the Ghost of Gone Birds. 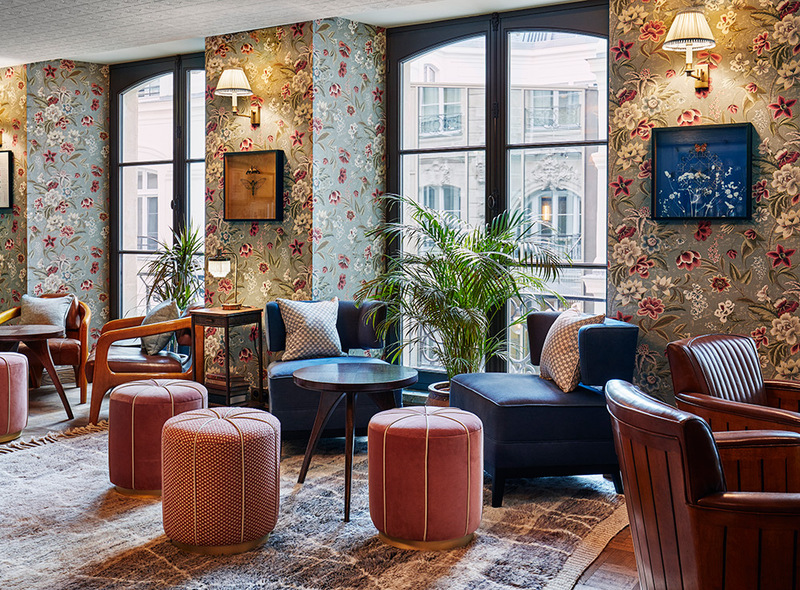 3 pieces installed as part of a mixed hang by the Jealous Gallery and Soho House for the Hoxton Hotel in Paris. 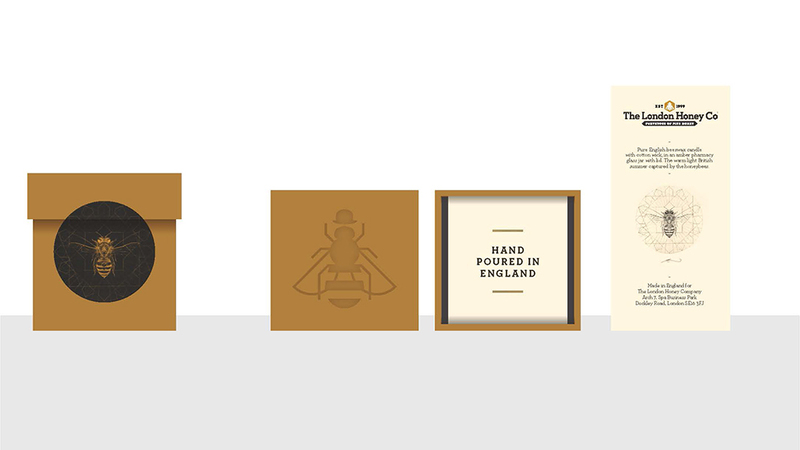 Drawing design for the London Honey Co. In return for honey to make my ‘Honey’ piece for the Jealous Solo show, May 2018. 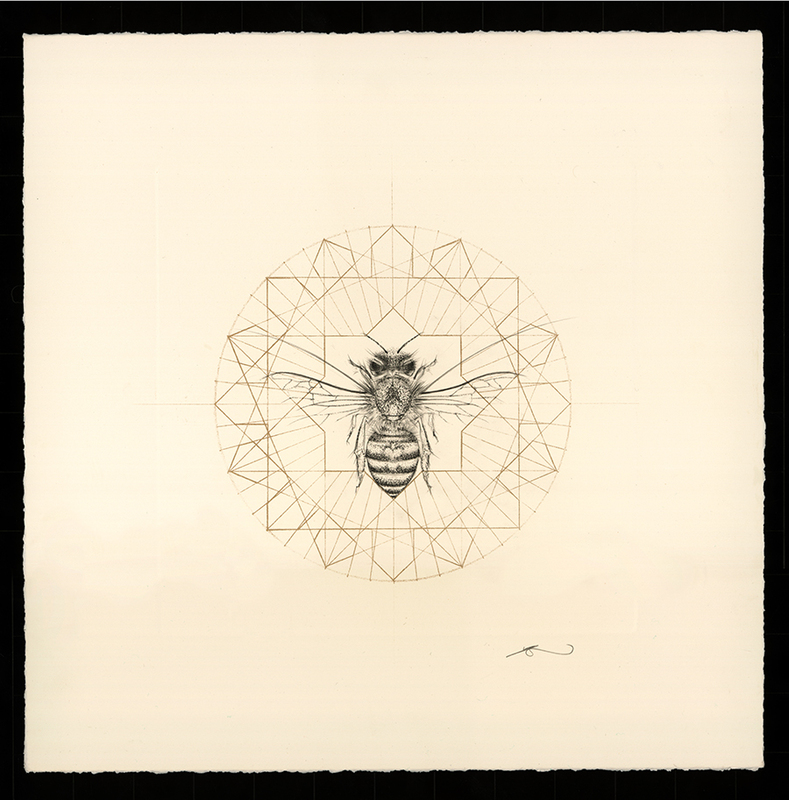 The piece was made out of a case of honey framed together with a gold geometry printed on glass and 18 hand painted species of bee. 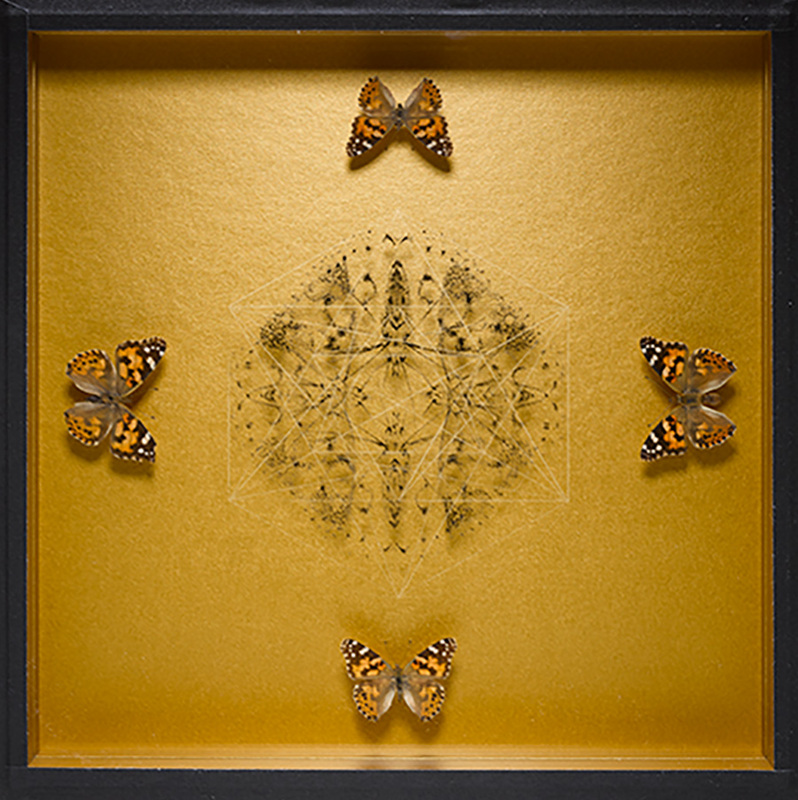 The Geometry used in all pieces comes from the sacred geometry of Eve’s grid. I am currently developing a meadow in Devon which I am doing not only for conservation reasons to support the wildlife of the area (especially bees and Butterflies) But also for inspiration and research which informs my work. The images of the flowers are from my meadow and the Peacock Butterfly is one of our most recognisable British Butterflies. 2 Layers of screen printed glass framed with a screen printed back ground taken from a cyanotype shadow print of meadow flowers. 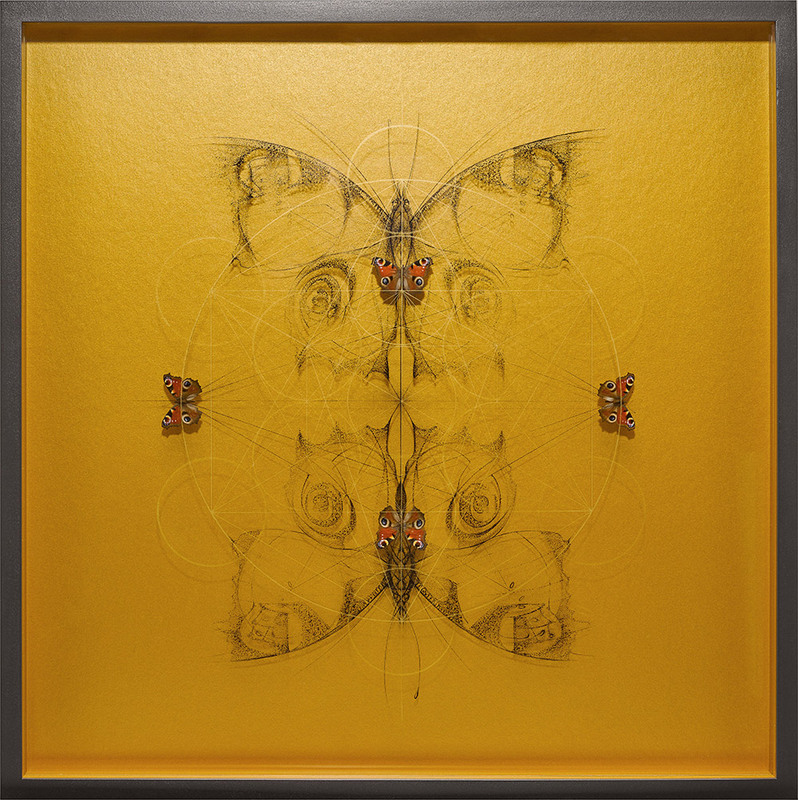 2 Layers of screen printed glass framed with gold background and Peacock Butterflies. M3 Design Development commission for Concierge. 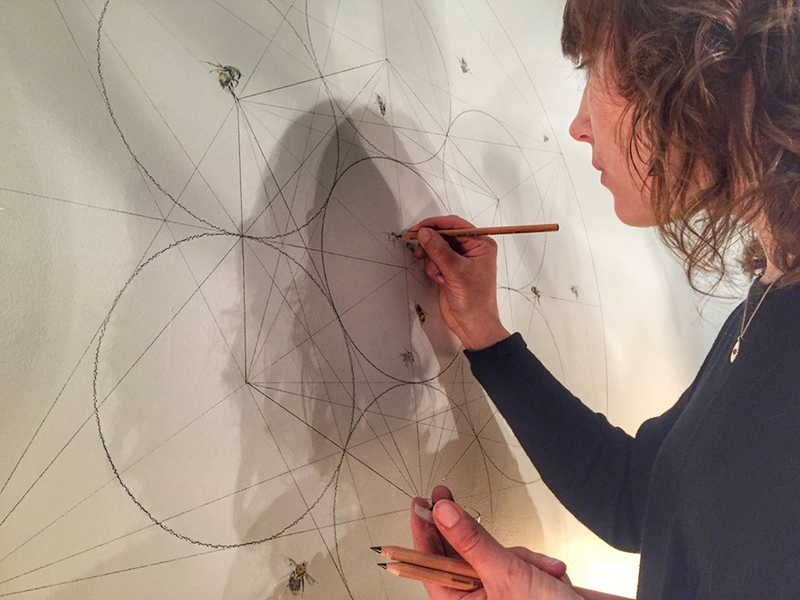 Large drawing of a flying Owl with geometry, 2016. From my solo show ‘Life After Death’ at the Jealous. It is now part of Soho houses permanent collection, installed at Soho house in Amsterdam. 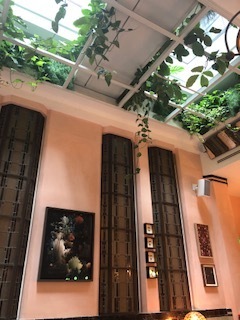 Installed at the new Mumbai Hotel in 2018.